PM shares a video on Twitter; says Yoga is important for health and wellness; Appeal to people to adopt yoga; Says Yoga can connect the world. The entire world is feverishly preparing for the international yoga day. Before the 4th yoga day, prime minister has appealed to the people to make yoga a part of their daily lives. In a video message posted on his Twitter handle, the prime minister said that yoga is not just a set of exercises that keeps the body fit, it is a “passport” to health assurance and a key to fitness and wellness. PM said that yoga is one of the most precious gifts given by the ancient Indian sages to humankind. He added that it makes one a better individual in thought, action, knowledge and devotion adding that it is a journey from me to we. Yoga is the journey from ‘me’ to ‘we.’ It promises balance, calm, helps boost concentration and gives immense strength. PM said that : It brings about oneness about the mind body and intellect. He said yoga makes us understnad opurselves better and when we understand ourselves better we become ready to form a constructive bond with society at large. He said that yoga goes beyong the boundaries of age gender caste creed religion and nations. He said that in a world of excess yoga promises restraint and balance. In a world of fear yoga promises hope strngth and courage. yoga gives peace of mind. He said that we have found ways to control communicable diseases, but the focus is now shifting to dealing with non communicable life style diseases where yoga can be of great help. Meanwhile preparations are going on on war footing to make this yoga day even more memorable and a grand success. On June 21, PM will lead a massive mass yoga event in Dehradun. About 50000 have already registered for the yoga event to be held at Forest Research Institute grounds. The campus will remain closed on June 19-20 as various measures are being undertaken to clean its premises, spread over an area of about 500 hectares. To ensure the success of the program many yoga functions are being organised in the institute. All over the globe, preparations are going on for the yoga day. people are excited about the day and are preparing for the same. 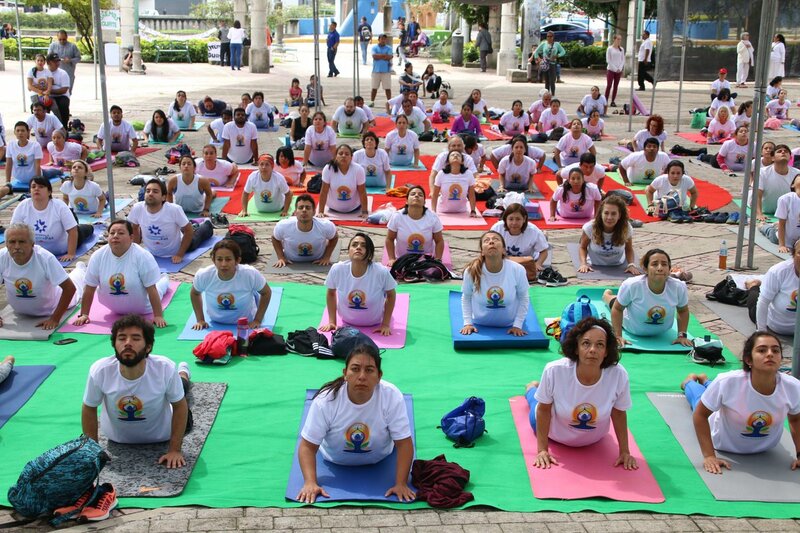 Prime Minister’s brain child which started as an effort to popularise yoga has turned into a massive international movement that keeps on gaining strength with each passing day.